When you’re looking for a new Time & Attendance system, it can seem that they all do pretty much the same thing. They all claim to do the same list of main points; clock people in and out, lateness, absences, sickness, etc. There’s obviously going to be differences in how they go about doing these things, but you might as well just go with the cheapest because at the end of the day, what’s the difference? If you can find a system that does 90% of what you want, then that’ll do, right? Wrong. That missing 10% can be the difference between a successful time & attendance system that you have for years to come, and a system that you have to throw out and replace, meaning time and money wasted. Experience shows that having to compensate for that missing 10% might well be disproportionate in the time, effort and cost required to complete the task. There are a lot of suppliers that have standard systems at a range of prices and you might well see one that, at face value, looks right for you. That might seem fine, but invariably you get a system that’s only 90% right for you. All customers are different. They all implement different rules and variations. Even something as apparently standard as “flexitime” can have all kinds of little differences from one company to another. For example, time worked over the flexi-period might be worked out as overtime, or credited as flexi-leave. What’s the cap for flexi-hours gained by employees? On the subject of overtime, can you imagine how many different permutations there are for that? Weekly overtime, daily overtime, cut-offs, different overtime grades, the list goes on. If you think over your company’s rules concerning time & attendance, I’m sure you’ll find all kinds of little variations on rules that are particular to your business. So why settle on a time & attendance system that can sort of handle all those little unique rules, but not quite? Finding a system which is flexible enough to handle all your requirements would surely be a better investment. Settling on a system that can’t quite do everything you want it to do is purchasing a product with a known flaw. Like a small crack in the windshield, the problem tends to grow over time. This sounds a lot like flexibility, and in a way it is an offshoot of that. The thing about businesses is that they change over time. No (successful) business remains static! Perhaps your company grows, or perhaps you overhaul your overtime rules. Maybe you decide to implement TOIL (Time Off In Lieu) or other types of flexibility for employees in helping with staff retention? Has your company reached a point where incorporating job costing might be a benefit? Perhaps you implement a new payroll system and you need your time & attendance system to be integrated with this new software? A time & attendance system should be a long term investment. It’s something you’re buying that you essentially want to have in place for decades to come. During that time, the rules of your business are likely to change, and you need a system that can adapt with your company. If you’ve got a system that could do 90% of what you require, you’ll find that with every change, that crack is growing wider and wider. This bit is going to sound like a bit of an advertisement, but it’s relevant and important. We take a consultative approach with our Captureit time & attendance system. Our core framework has flexible scripting capability, which means all those little extra rules (and variations on “old classics”) are something that we can write into the system for you. As such, we can provide you with a system that is built specifically with your business rules in mind. No need to work around a system that can’t quite do what you want. No need to fudge details, or intervene with repetitive manual adjustments because your system is not exactly able to cater to your requirements. We work with you to set all your company rules in place (a process we call scoping) which can often have extra, unexpected benefits. We come across a lot of companies that haven’t got official rules set in place for certain aspects of time & attendance. The scoping exercise will identify these so we can ensure we build you a system that is precisely what you want, and during the process, you will have an official policy for all aspects of time & attendance in your company. Most of all, you’ll have a system that does what you want, the way you want, and there are no cracks. 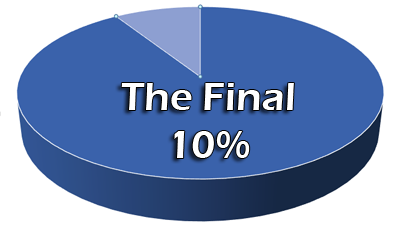 With Captureit, you get the final 10%.